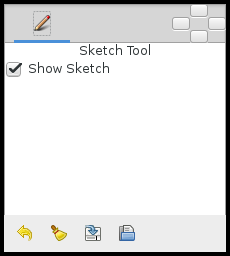 The "Sketch Tool" allows you to draw freehand over the top of a Canvas. Each workarea has a single sketch overlay associated with it. Sketches are not saved as part of the .sifz file when you save your work, but can be saved separately as .sketch files for later reloading. This page was last modified on 7 March 2016, at 19:32.